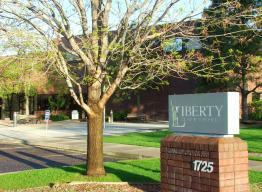 Liberty Common School is a charter school in Fort Collins, Colorado, operating in the Poudre School District. A charter school in Colorado is a public school operated by a group of parents, teachers, and/or community members as a semi-autonomous school of choice within a school district. The school operates under a contract or "charter" contract between the members of the charter school community and the local board of education.